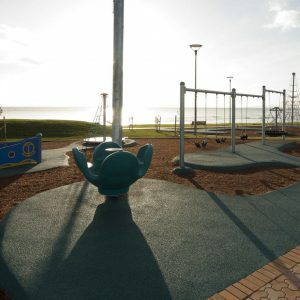 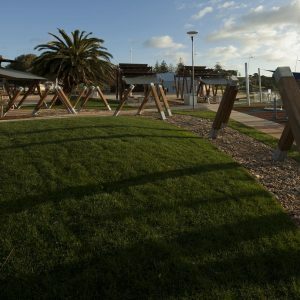 The redevelopment of the Devonport Surf Life Saving Club Plaza has played a starring role in the revitalisation of the social heart of the Devonport Foreshore Precinct. 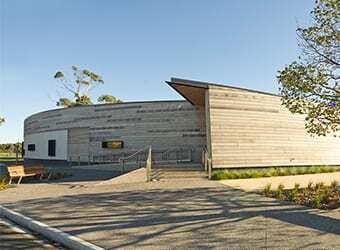 Founded in 1927, the Devonport Surf Life Saving club was the first officially recognised surf club in Tasmania. 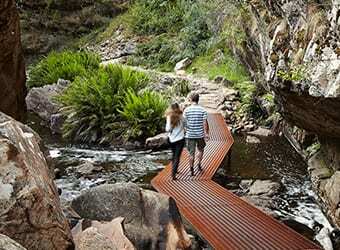 Located at the iconic Mersey Bluff Plaza on Tasmania’s north west coast, ‘The Bluff’ as it is known by locals, is a popular spot for swimming, sunbathing, picnics in the park and surf life saving. 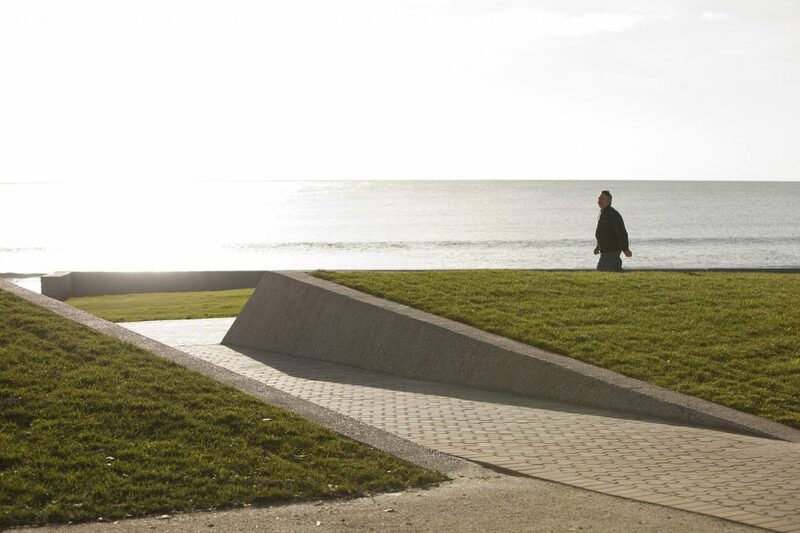 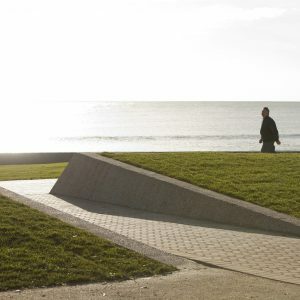 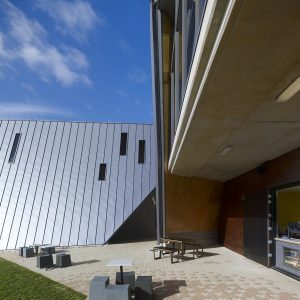 Our involvement in the project dates back to 2008 when Hansen Partnership was engaged by Devonport City Council to prepare the Mersey Bluff Precinct Framework as an overarching master plan for Devonport’s valued coastal precinct. 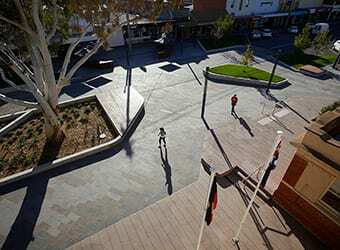 The vision we articulated in the plan received a very positive response, leading to Hansen being further engaged to oversee its implementation through design development and documentation of the plaza. 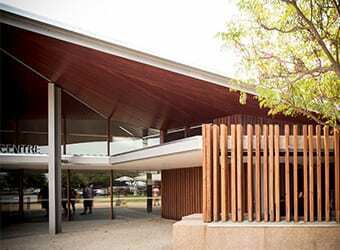 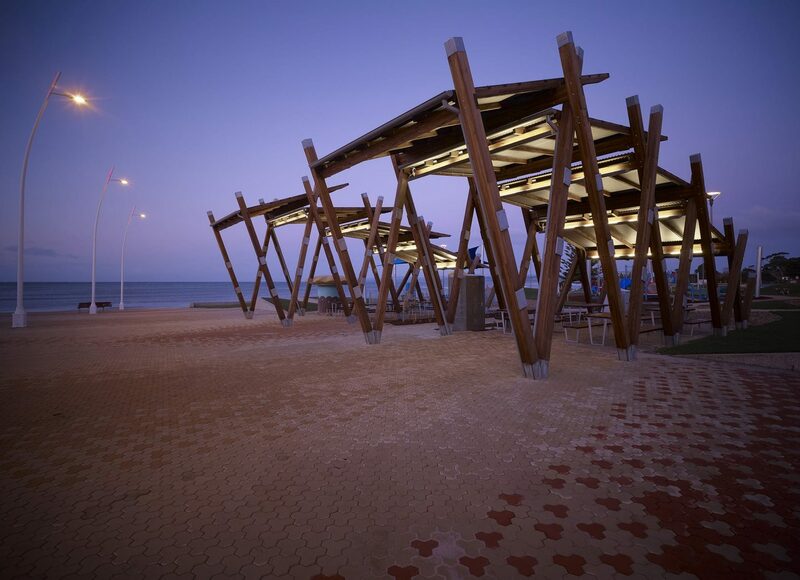 The design provides a strong link to the foreshore and integrates ancillary activities to create a vibrant community hub. 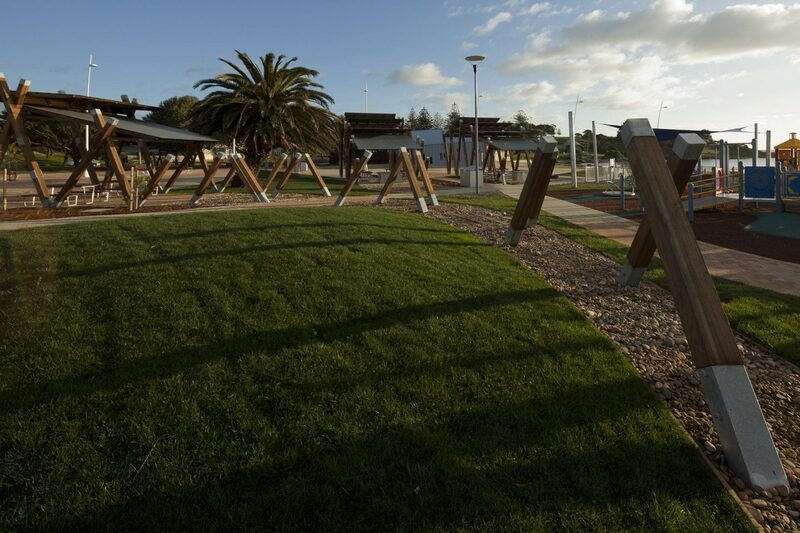 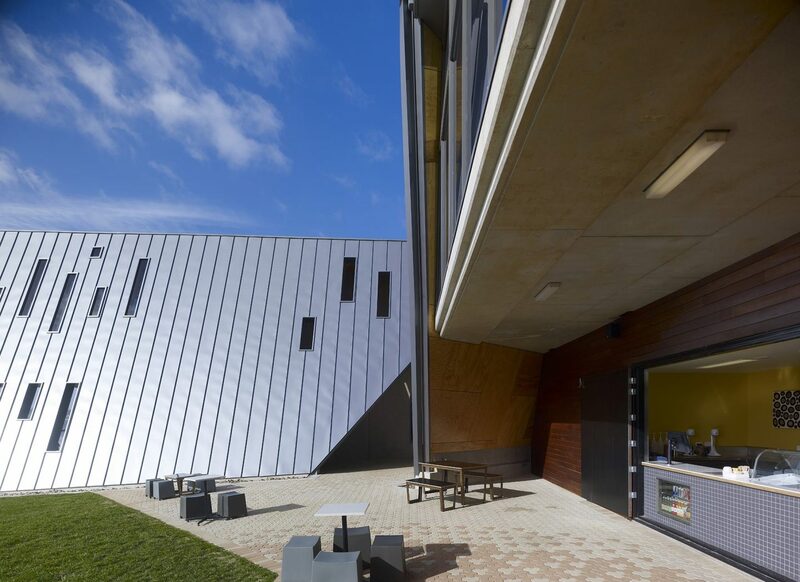 The redevelopment includes the construction of a new Surf Life Saving Club building designed by Jaws Architects, upgraded sea wall, new car parking, an all-abilities playground and the central pedestrian plaza – the heart of the area which links the foreshore reserve to the beach. 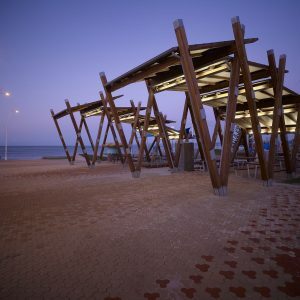 Within the plaza, a series of picnic, barbeque and seating elements enhance community usage and a succession of striking shelters and sculptural lighting illuminates the area. 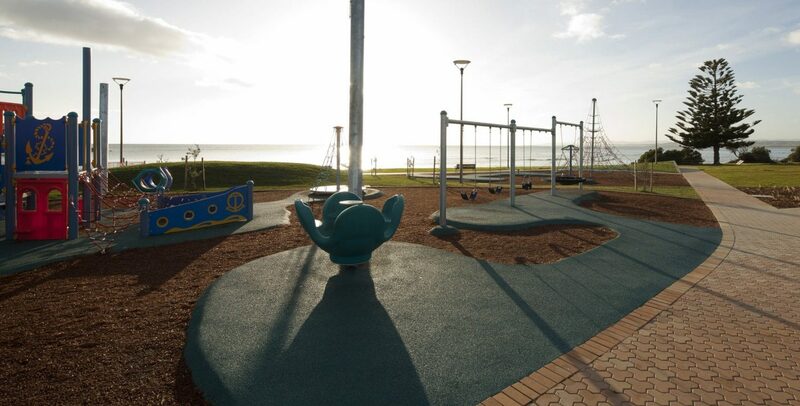 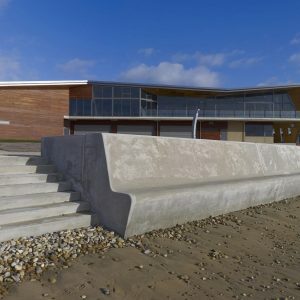 The improvements have been sensitively designed to respond to the coastal environment as well as provide improved connections and access, retain significant vegetation, preserve and enhance views and create opportunities for passive and active recreational activities.